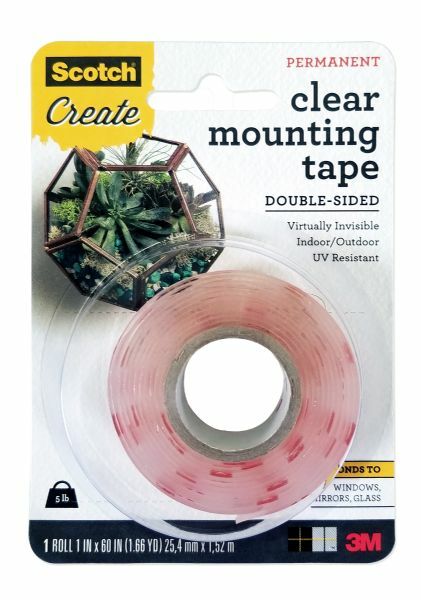 This permanent thick double-sided virtually invisible UV resistant tape is designed to hold up items both indoor and outdoor. * Every 4 inches of tape can hold 1 lb. of weight. 60" x 1" x 0.1"